It’s hard to overstate just how weird this series is for savvy Mets fans. The Mets entered the series with a 3 percent chance of making the playoffs, according to Baseball Prospectus’ playoff odds. If the Rockies won the series, this may be enough to sway ownership and the front office to trade impending free agents away for players who could contribute next year. But what should the Mets do if they blow out the team they are (theoretically) chasing for the second wild card? 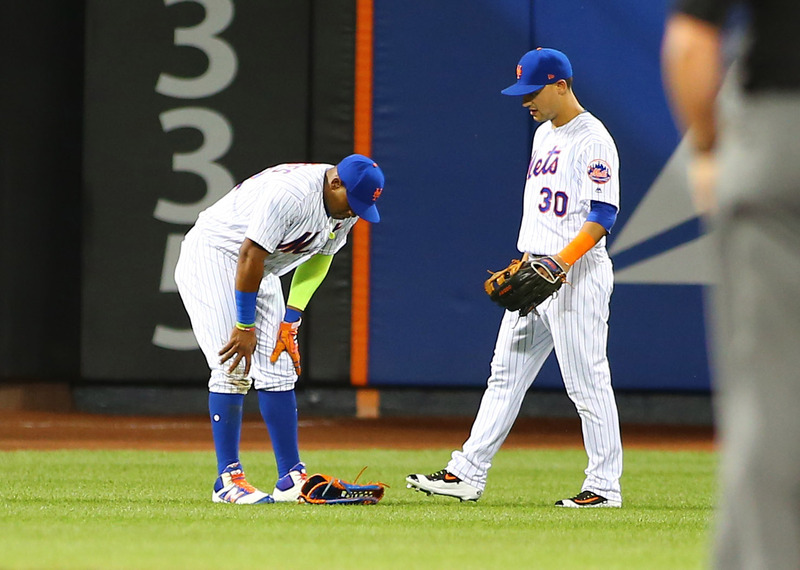 Could Saturday’s 8-3 win actually be the worst thing for the Mets right now? It only took two innings to show that this existential dilemma would pose far greater opposition than Colorado could muster on the field. Rockies’ starter Tyler Chatwood walked 15 batters in 15.2 innings before the All-Star break. All that time off made his command worse! Chatwood started with seven balls, got a small cheer for his first strike, then issued his second walk. Yoenis Cespedes flew out, then Jay Bruce hammered a three-run homer to dead center. Chatwood couldn’t throw another strike. The trainer checked him out, but even the practice pitches were well out of the zone. Watching him struggle was one of the most painful things I’ve seen in a Mets game this season, and that’s saying something. Left hander Chris Rusin came in to try and challenge the Mets’ hot bats, but it didn’t go so well for him. Travis d’Arnaud hit a two-out single to give the Mets a fourth run in the first before Seth Lugo ended the inning. Rusin got two outs in the second, then Cespedes singled. Bruce hit a fairly routine ground ball to second, but DJ LeMahieu threw the ball in the dirt to extend the inning. T.J. Rivera singled and Lucas Duda pulled a double down the line to give the Mets a 7-0 lead. Lugo put a cherry on top in the third with his first Major League home run. Lugo rolled his first two times through the lineup, allowing only three hits while striking out five. It’s hard to know just how much to make of this. Colorado’s lineup has a number of disappointments with Coors Field inflated stats – and players like Carlos Gonzalez who are just having awful seasons. The most encouraging thing for me was Lugo didn’t walk anyone and mixed up his pitches effectively. Lugo is well known for the huge spin rate on his curveball, but his most effective pitch tonight was a high fastball tailing out of the strike zone. Cespedes slid awkwardly trying to make a catch in the sixth, driving his right knee in to the field and digging up a large divot. He tried to show Terry Collins a full range of movement and flexibility, but Collins wasn’t willing to risk further injury in an 8-0 game and pulled Cespedes immediately; Terry said postgame that it was a hip issue. As encouraging as two big wins over the Rockies may feel, it’s a mistake to assume this is enough to push the Mets towards the playoffs. Closing the gap on the Rockies is one thing. However, there are five other teams ahead of the Mets in the Wild Card standings! It’s not enough to pull Colorado back to the pack. The Mets would also have to leapfrog the Braves, Marlins, Cubs, Cardinals, and Pirates. Some of those teams have already indicated they will be sellers, which may be a hint about how hard it will be for any of these teams to claw their way out of the pack and in to the second wild card. Steven Matz takes the mound as the Mets look for the sweep. Some Mets fans have sleepless nights about whether the team is suddenly winning too much.